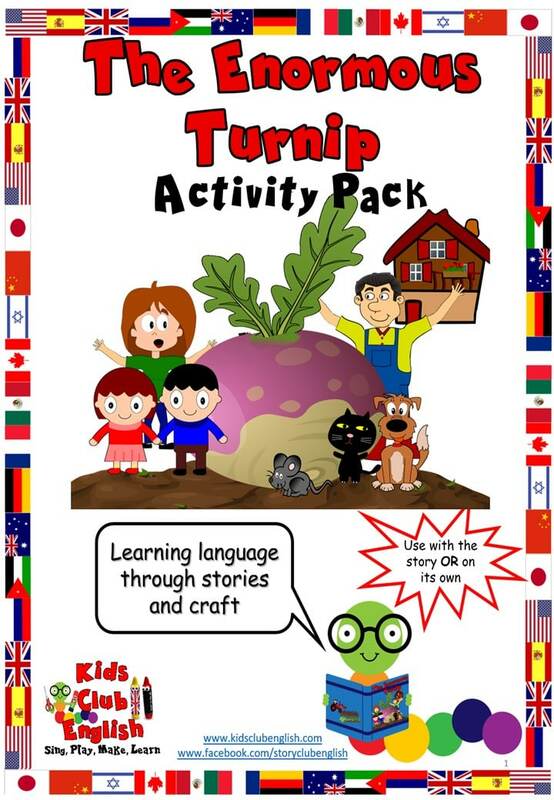 The Enormous Turnip story is ideal for young children learning language. It provides lots of repetition and opportunities for joining in. 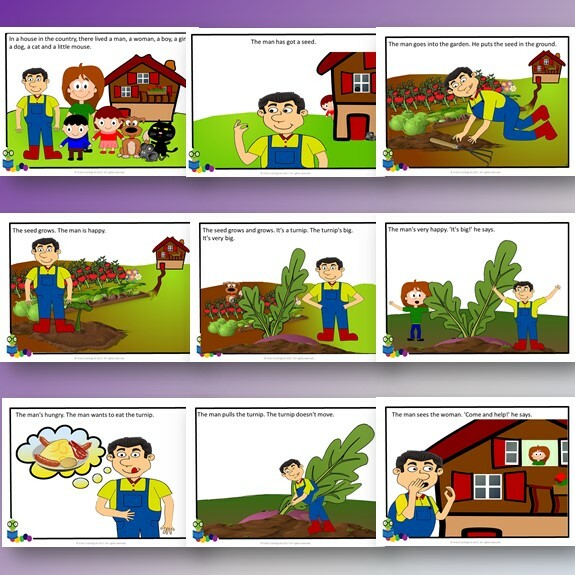 Kids can learn people, family and pet vocabulary and talk about food and growing things. There are several versions of this story available. See reviews and purchase options here or watch the videos below. 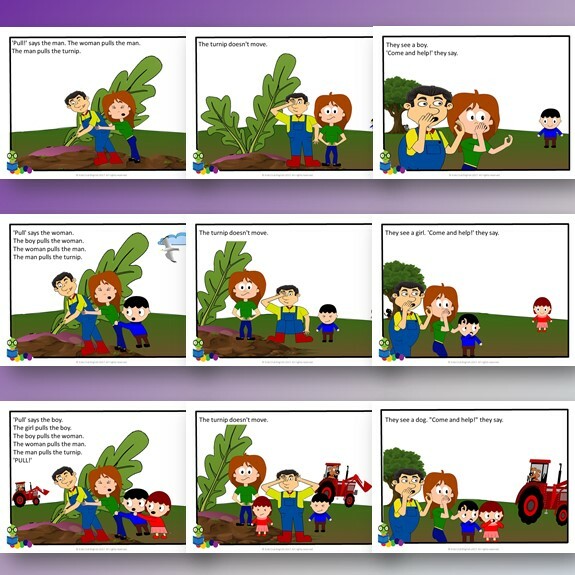 The version pictured above is contains simplified text and is ideal for beginners and children learning English. Use these interactive crafts and worksheets with your kids at home or in the classroom. All activities come complete with DETAILED Activity Suggestions to help you conduct the activity in a language rich way. There are a variety of versions of each activity type so they are perfect for DIFFERENTIATION according to age or ability level. 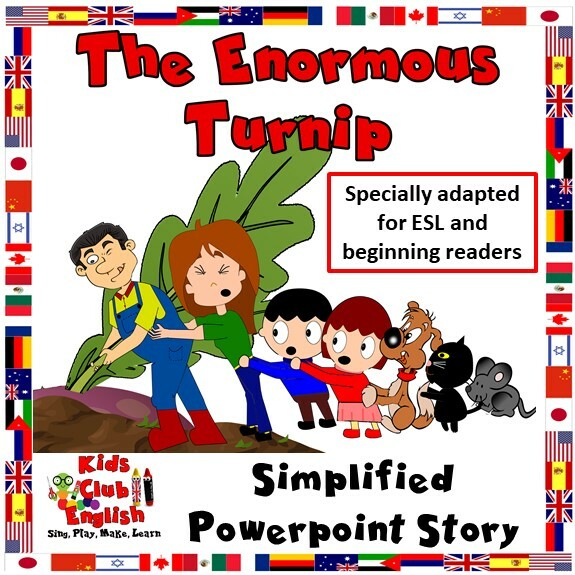 Download the FREE Enormous Turnip powerpoint to tell the story in an alternative way. The language is simplified and includes lots of repetition to help children acquire the key language more easily. You could project it with larger groups and even use the images to play language and vocabulary games. 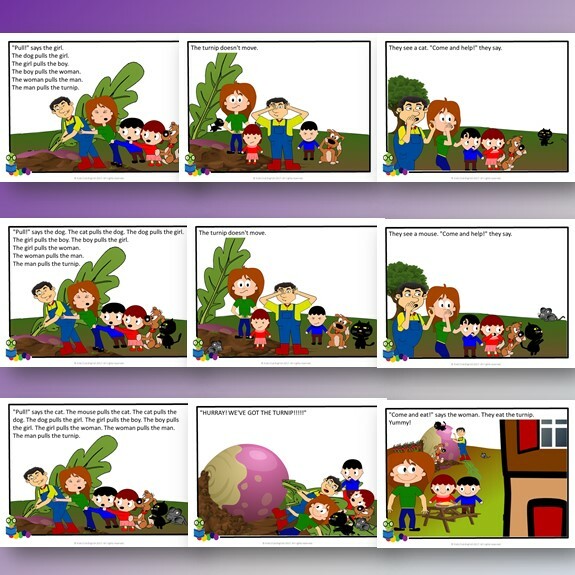 Kids will enjoy joining in with the repeated phrases; ‘Come and help!’, ‘Pull!’, ‘The turnip doesn’t move’.